I’ll explain what I don’t mean by that in a minute; first let share my experience with worship leading. I have been a Christian as long as I can remember, but I don’t recall having been passionate about my faith prior to this point. I repeatedly sang basic songs like “Lord, I Lift Your Name on High” as I laboriously positioned my fingers for each of the four chords the song requires. I can’t tell you how many times I played that song in those months, but it was A LOT. As my muscle memory kicked in and I developed the ability to switch chords without prolonged pauses, the song itself began affecting me. I can still remember the night that I got down onto my knees as I continued to strum the guitar and sing that song directly to the Lord. It was the first meaningful worship experience I can remember. Why? Why should forcing my fingers to move into unnatural positions bring me into a deeper expression of praise? I am only recently realizing that it has a lot to do with the embodiment that playing an instrument requires. Though we think of singing praise songs to God as a spiritual experience (and it is), it would be impossible without the body. When we sing to God we are using our brains, mouths, vocal cords, and lungs in addition to our souls. The praise may be spiritual, but it works in conjunction with the physical, embodied functions of the bodies God created. All of this deepens the impact. Just as the physical practice of taking communion deepens the impact of remembering Jesus’ sacrificial death—chewing the bread, tasting the wine—so the physical involvement of singing deepens the truths we express when we praise God. It involves the heart as well as the mind. So adding another dimension to that embodiment by involving the arms and fingers sinks these truths into our hearts. “Lord, I Lift Your Name on High” became ingrained—not just in my mind, but also in my muscle memory. I believe that the authenticity of worship that came from this experience stems in large part from the involvement of my body. Prior to this, my worship consisted of words. Now more of my body was involved, and my desires were being shaped at a deeper level. Presumably, all worship leaders have experienced something similar. They went through the initial process of training their bodies to engage with music at a deeper level. And week after week they participate in embodied practices that express worship to God. These processes help the truth to sink in, and the worship deepens. I know that many worship leaders become calloused to the truths they sing about. Through over-familiarity a song can lose its potency, and a worship leader can become numb to the powerful truths embedded in the song. Nevertheless, the solution to this is not stepping away from embodied practices that can help the truth to sink it, but instead to continue to pursue creative ways of expressing truth so that it has the greatest possible impact. When I titled this post “Why Worship Leaders Are More Spiritual,” the full thought I’m getting at is not that worship leaders are more spiritual than other people, as if singing into a microphone were a sign of spirituality. What I am actually suggesting is something more along these lines: worship leaders are more spiritual than they used to be. The idea is that worship leaders are engaging in a powerful means of expressing truth, and that truth is bound to sink in more deeply as it involves more of the person. God created us as whole beings, and we are made to glorify him with every integrated aspect of our being. Worship is more than contemplating spiritual concepts. Worship is meant to seep into our bones, to transform our hearts, to come to expression through our fingers, our voices, our footsteps, through every gesture and pursuit. 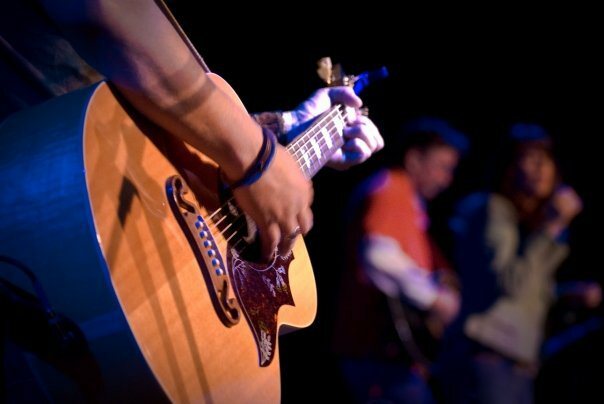 Learning the guitar deepened my faith. You may have no inclination to follow my lead in this, but all around you are embodied practices that can deepen your faith. Pick a handful and pursue them to the glory of God.